Homeland Security professor Dr. Jim Ramsay of Embry-Riddle University was the first scholar to call these needle devices "defective". The FDA has foolishly allowed these cheaper "killer needles" to remain on the market, where they kill and injure more workers. Learn what the manufacturers are not saying about these needles, used 400+ million times each year in the U.S. 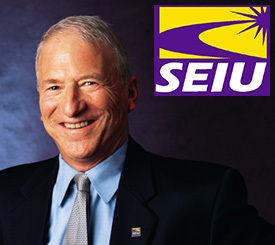 The SEIU's Andrew Stern was right when he dubbed them "killer needles" in 1998, but they continue to plague us today. The Needlestick Safety and Prevention Act protects our right to the safest needles. Why don't we have them? The multiple sample blood collection needles in particular are undependable and unsafe for both professional operators and the public... especially infants, seniors, and obese patients. The U.S. Centers for Disease Control and Prevention (CDC) convened a National Sharps Injury Prevention Meeting on September 12, 2005, in Atlanta, Georgia. The purpose of this meeting was to review sharps injury prevention efforts (particularly since the passage of the Needlestick Safety and Prevention Act in 2001); identify gaps in prevention efforts; and assist CDC in creating a national action plan for eliminating sharps injuries in the United States. 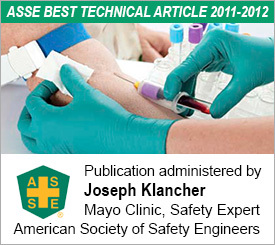 ABOUT OUR ORGANIZATION: Needlestick Safety provides education about the safest medical devices, needle design flaws, and needle safety legislation in the U.S. and worldwide. We are not funded by manufacturers or pharmaceutical companies, but by individuals who care about the dangers to nurses and infants...those most likely to be harmed by "killer needles". This site is not affiliated with or sponsored by manufacturers. Please donate an amount of your choice to support needle safety advocacy for everyone's benefit.